For the past bunch of months, I have been meditating. My brain, much like most I’m sure, runs on overdrive. When I’m not organizing every minute of the day, I am problem solving. It seems there is always something to “figure out.” Whether it is something innocuous like, what color should I paint a room, to wondering what I’m going to do about my disintegrating marriage. My lack of self-trust can make every decision monumental. Always, thinking, thinking, thinking and it’s exhausting! Hence, mediation. It has been wonderful, challenging, frustrating, and life changing. And I’m only getting started! 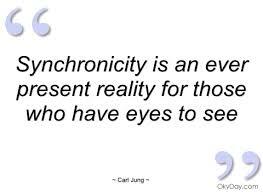 Since I began, I have been noticing more and more synchronicity within my life. Another unexpected change is my sense or awareness to things around me. Everything is energy and everything has a vibration; therefore, I imagine if I am more “in tune” with that energy or more aware, it makes sense that I would begin to have these feelings about what I thought to be inanimate objects. What is most powerful to me about these changes is that I am not only beginning to listen but that I am beginning to trust. If I feel something, I just do it. Ok, this is a work in progress, but the incredible thing is that I contemplate it less and then I actually take the action. This is quite extraordinary for me because many, if not most of the time, I will question everything to death, thus talking myself right out of it. For years now I have had an unusually strong feeling towards hawks. Years ago when I was going through my divorce, I was looking in a particular neighborhood for a place to live. I would often see a hawk flying around this area. I can’t explain it but it always made me incredibly happy. A deep within my soul happy, like my very insides smiled. Yes, I always thought it was odd to get that excited about a bird but it was exactly how I felt. It was like a feeling of seeing a giraffe on the side of the road. That would be a WOW moment, right? Only for me, it was a hawk. I had never noticed hawks around this area before, which was only a few blocks from my marital home. So every so often I would happen to take notice of this beautiful bird whether it was gliding through the sky or perched on a leafless tree branch. A few days ago, I was driving home and thinking about the book I want to write. I’ve had a general idea for some time now, but I knew it needed to have more of a central focus or purpose. While I was driving the last mile home, this focus was coming to me. It was all flooding in as if a bunch of jumbled numbers were beginning to make sense. I began talking these ideas into the notes of my phone (because I was driving!!). When I finished and was less than a block from my house, a huge hawk landed in the middle of the road, right in front of me. I had never seen a hawk on the ground this close and could not believe how big it actually was. I had to step on my brakes to avoid hitting it. It landed, looked at me, realized I was too close and took off again. It was magnificent. I took it as a sign that I was on the right track. Normally, I would not have connected the two. I probably would have forgotten all about my notes or questioned them ad nauseam and let the whole thing sit on my phone until who knows when. I was in my closet the other day and I felt or almost heard that it wanted to be painted; it felt depressing. No, not because my wardrobe it slightly sad and boring (or maybe!). I sort of sloughed it off thinking I DO NOT need to add to my To Do list right now! I have been feeling very overwhelmed and when I do, I actually tend to add things to my list instead of drop. I can not explain this behavior. However, the thought stuck with me long enough to ask my husband what he thought. He asked me why with his usual “ulterior motive” implication added. I said that I didn’t know, I just feel it. He told me that I did not need another thing to do, to which I agreed and dropped the whole thing. A day or so later, I was running all over town looking for new kitchen rugs. I was getting frustrated as I felt I was wasting so much time. I was nearing Home Depot and asked aloud if I should stop. I needed help and guidance so why not on where to get rugs? I felt the answer was yes and so I went for it. Disappointingly, I did not find the rugs I was looking for. As I was trying to navigate my way out of the store, I wondered why I had felt drawn to stop here when I didn’t find my rugs! I was walking through the middle “hall” and needed to pass through an aisle to get to the front of the store and out. Each aisle was blocked with people or equipment and I had to keep walking further and further down. Finally, I reached an open aisle and turned to walk up and out. I quickly realized it was the paint aisle. I knew I needed to buy paint. With an unused store credit, I purchased my gallon of paint for less than $10 and left the store. In the last two month I have been wanting to get a word tattoo on my wrist but I was waffling between a few choices. While I was away in Costa Rica, we were all given a temporary tattoo to put on for fun and inspiration. They were all laid out before us and I quickly knew which one I wanted. It was the words “Surrender” in a perfect size for the back of my wrist. This word, for me, is almost laughable to anyone who knows me well because I am somewhat of a control freak. I find it extremely difficult to surrender to anything! So I lived with this word on my wrist for a few days and began to feel that this was the word for me. Of course, in typical Chey fashion, I began to think about what everyone else would think and was beginning to question the whole idea. I was struggling letting go of what others would think. I had had oils on my wrists frequently causing the tattoo to become all cakey. I went to the sink to wash it off so that it wouldn’t rub off on everything. When I turned on the faucet, it shot water and air at me so hard that I jumped and screamed. I knew that was my tattoo. One may think it is all coincidence and maybe it is, but whatever it is, it allows me to feel connected to my true self, away from the self-defeating ego. The beauty of it is that it is my reality, and thus that is my truth. There can be nothing else. I write this to those who feel their chaotic mind is winning more often than not. I write this to inspire one to meditate. Maybe that mediation is taking a walk through the woods and listening to the sounds of nature. Maybe that meditation is being in water, floating and allowing the sounds of life to be muffled away. Or maybe it is finding a quiet space, sitting still, and listening to your breath. I write this so that maybe someone will begin to listen to their inner voice that is desperately reaching out. Unlike myself, I have stifled that inner voice for so long, making life much more complicated than it’s meant to be. So, what is there to lose? I loved this article. 🙂 Such a real and beautiful account of how precious meditation can be for every little soul! Thank you so much! I look forward to roaming around your blog… it looks awesome! I’m so glad to have found each other! 🙂 Your writing is so lovely! Thank you for sharing this post. It came across as serene as I am guessing you are feeling in life right now. 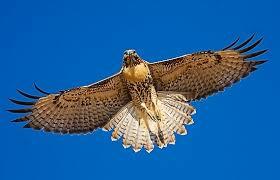 I was always taught that the hawk represents a blessing or confirmation of a journey, like being on the right path. 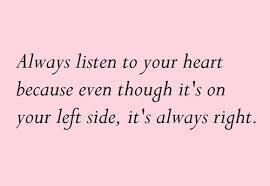 It sounds like you are definitely on the right path experiencing synchronicities left and right. 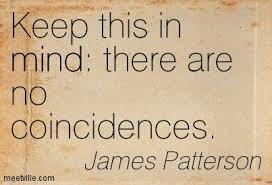 I agree life is more than just coincidence and happenstance, just takes the eyes to see and the ears to hear. Thank you! I just read that a hawk crossing your path can mean that enlightenment is imminent! I would certainly allow that!! I have a very strong mind and it makes everything challenging. Maybe that’s my purpose. I hope your having a beautiful day…thank you for visiting friend!! Yes, my chaotic mind seems to win out quite a bit! I always think that I should try the meditation bit sometime but then I think I would struggle to find the time to sit and do it.